A parade featuring dozens of old police cars and fire trucks was on display in the western suburbs Sunday. 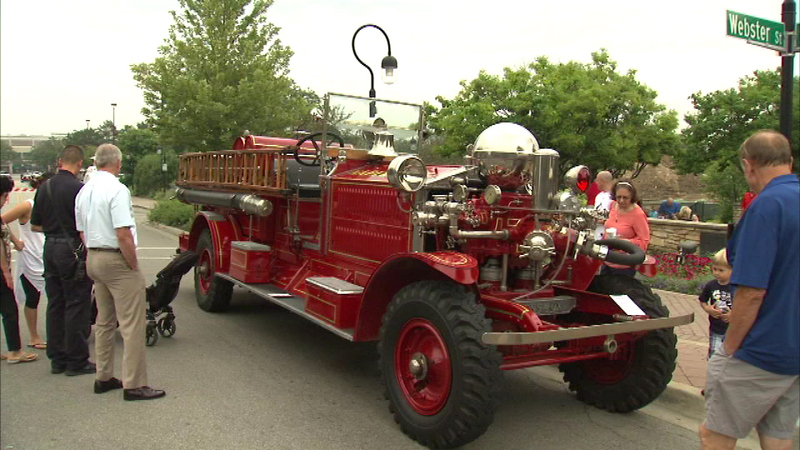 NAPERVILLE, Ill. (WLS) -- A parade featuring dozens of old police cars and fire trucks was on display in the western suburbs Sunday. Residents in Naperville lined up along the city's Riverwalk to see the vintage vehicles go by. Some of them date back more than 75 years.